Ok, so it’s not a secret I used to work at Disney World because I basically talk about it all the time. It was one of the most incredible experiences of my life and it really inspired a lot of the work I’m doing now. 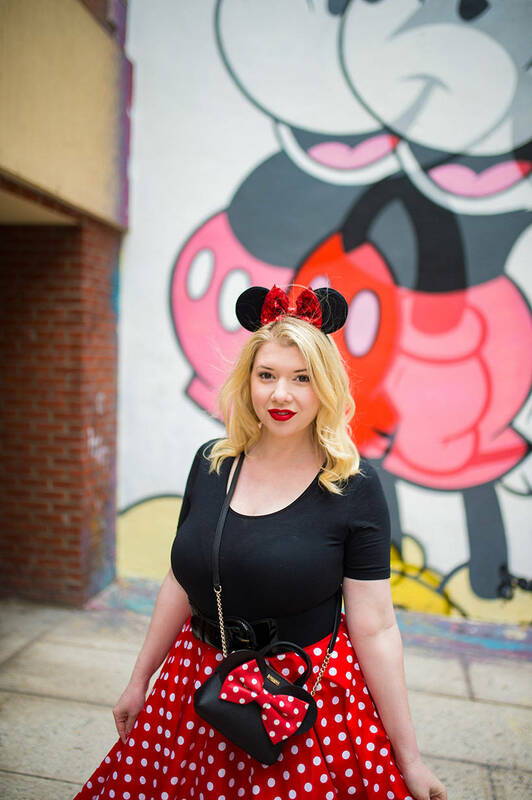 I got into makeup because I fell in love with the art while working backstage and learning from the Disney cosmetologists on set… and eventually fell in love with costuming and wardrobe styling, too! I dabbled in that for a few years at local theaters in Florida before ultimately going down the beauty route, but styling outfits inspired by characters is still something I absolutely adore. 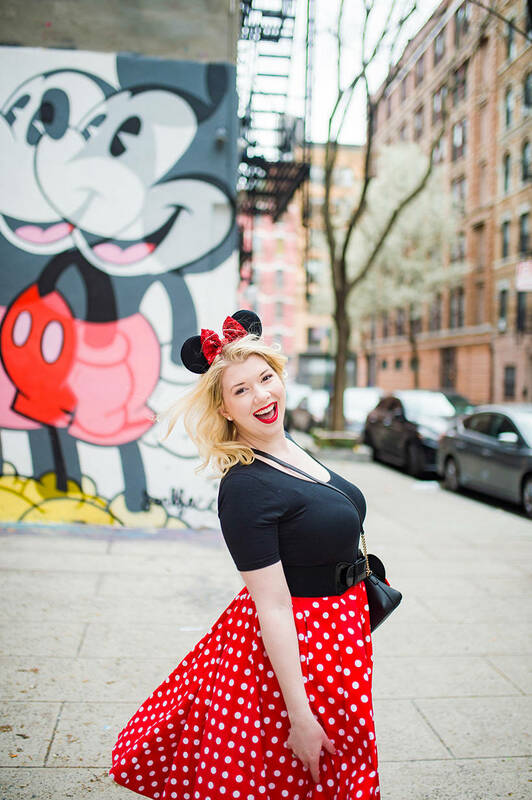 When Disneybounding became a thing, SO MANY PEOPLE suggested I create Disney inspired looks! So, I’m finally doing it. 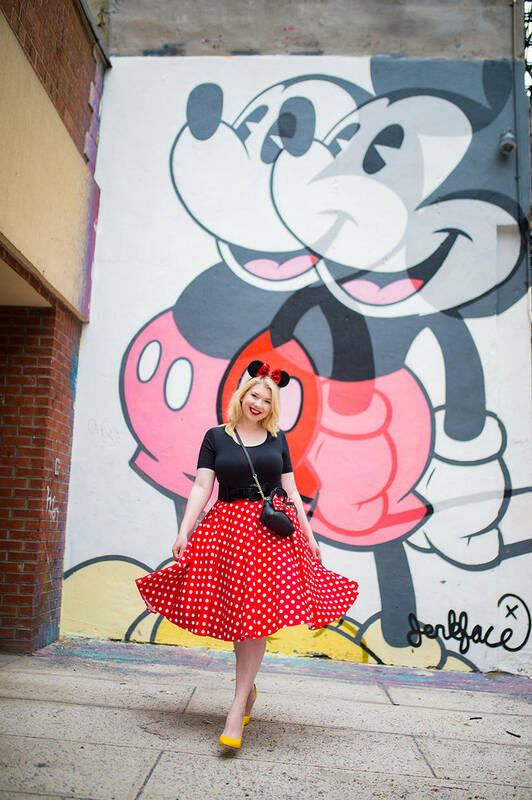 For my first attempt at a Disneybound look, I decided to honor a classic, Minnie Mouse herself. 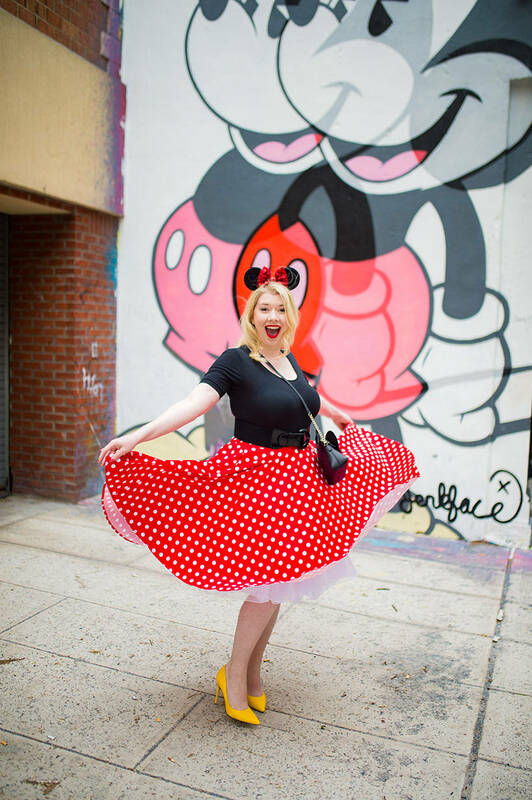 What’s Disneybounding, you ask? The term originated from an amazing blog by the same name. 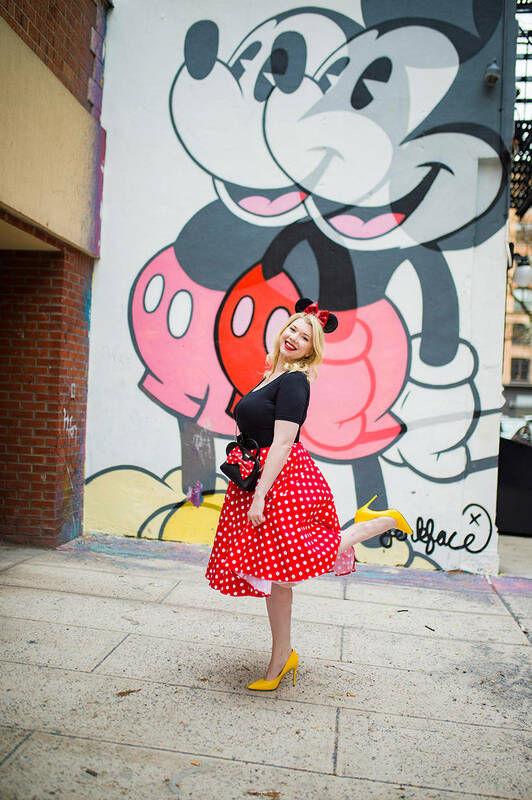 Essentially, it’s using color schemes and thematic elements from different Disney characters to inspire outfits that are more wearable than your standard costume. 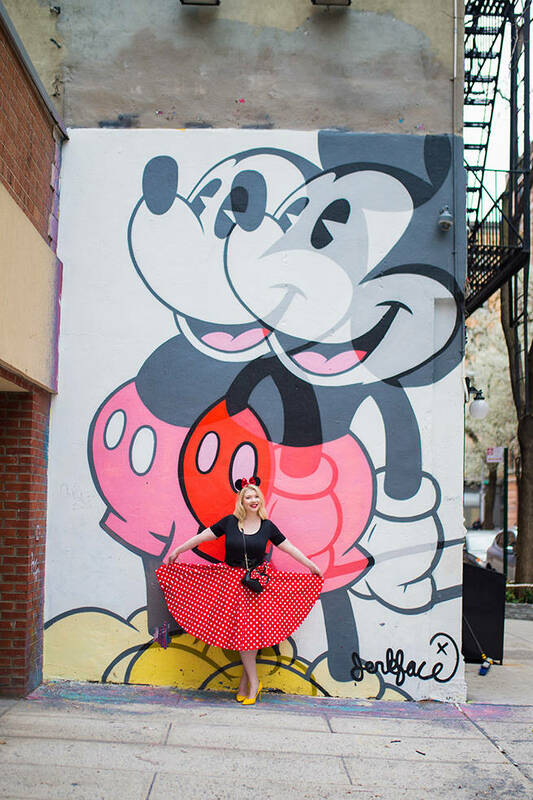 Now, with the rise in popularity of awesome events like Dapper Day, it’s becoming a more mainstream practice by influencers and Disney addicts alike. 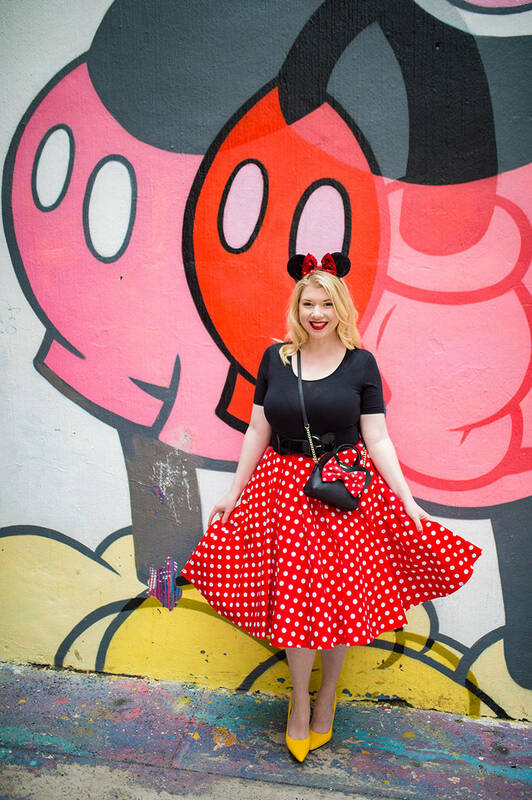 It’s also super fun to wear one of these outfits to the parks on any given day, no matter the occasion! 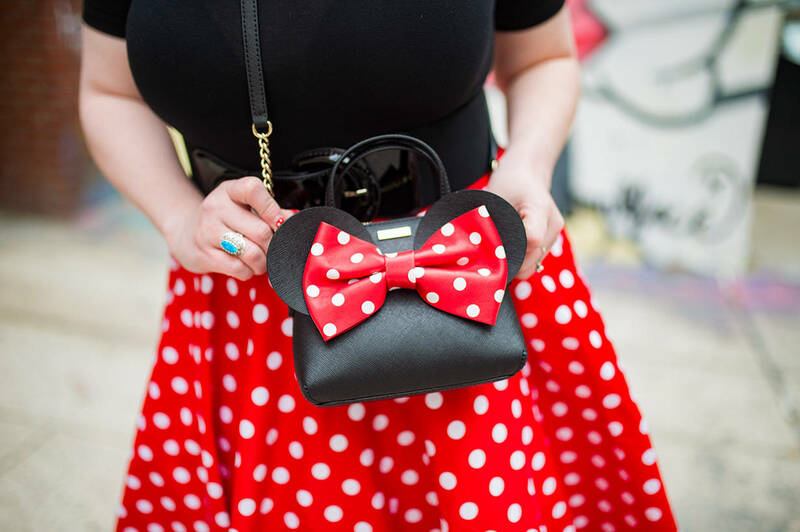 This Minnie look was relatively inexpensive, with the most splurge-worthy piece being this darling Kate Spade purse. If you want to get that same look on a budget, Loungefly makes a similar one that’s so cute and much more affordable! So, what do you think? 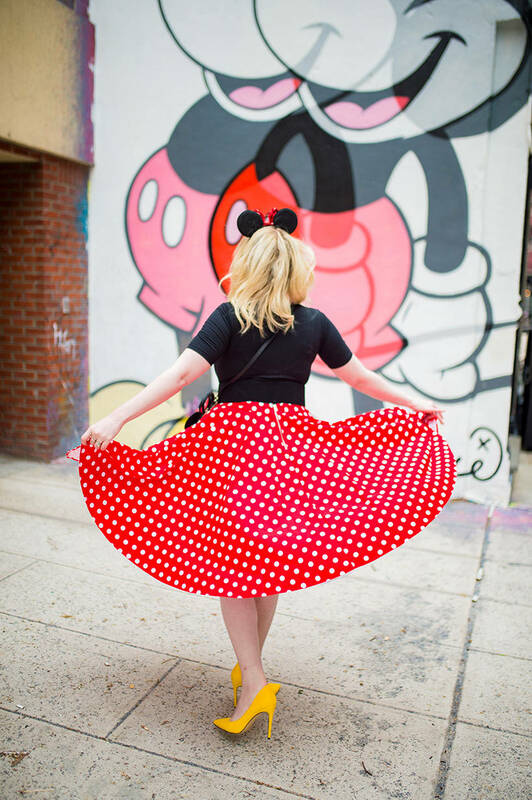 Are you into Disneybounding? Would love to see your interpretations of the characters!